Of the four automotive classes at BOCES, Farrington was selected from the body repair program to win this award. “This award is a gathering of all your different achievements, attendance, how well you do your work, test scores, etc. It takes all of that into account and determines how much of a well rounded student you are,” he said. Every student in the four classes at BOCES were competing for this award. “My class has 18 people in it and I was selected out of that,” said Farrington. Farrington, who is also a technician at East Syracuse Chevrolet, has gained many skills through the program at BOCES. “I learned how to repair dents, I learned panel straightening and structural stuff,” he said. 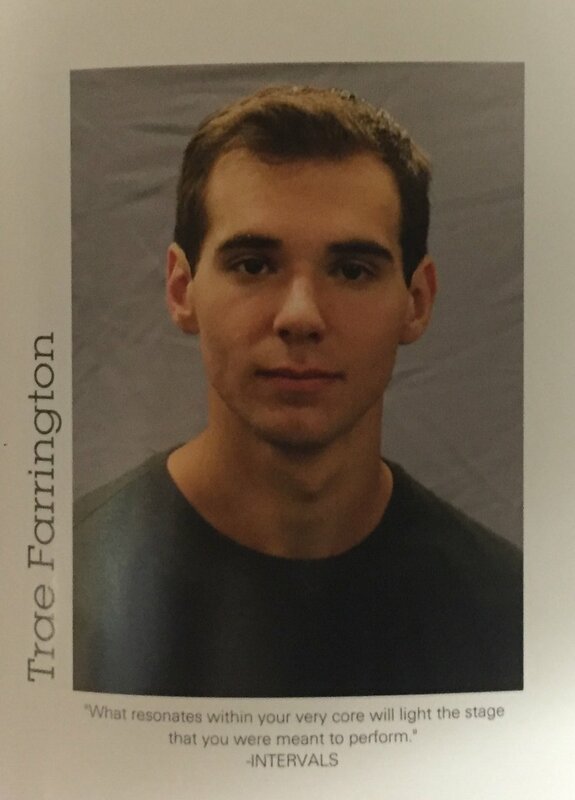 Farrington was selected as the recipient of this award because to not only understand the mechanics of a car, but also his ability to successfully fix the car. Though Farrington says that trades like this are dying and few people can do the kinds of things he can, it makes him like the field even more. “There’s a sense of pride knowing that I possess skills that not a lot of people have,” he said. Farrington and his friends are the people who can do these tasks, and they work together to repair some of their own belongings at school. “We just bring stuff in and fix it ourselves, that’s how we get by,” he said. At J-DHS, English teacher, Joseph Goldberg, had the opportunity of having Farrington in his English class as well as his Mythology class. “I am extremely proud of Trae's prestigious accomplishment,” said Mr. Goldberg. Farrington doesn’t just have the mechanical skills to get the job done, “He can likewise carry on an intelligent political conversation, has a wonderful and witty sense of humor, and he can get along with people of every stripe,” said Mr. Goldberg. Farrington will be graduating alongside his fellow classmates on June 24 and plans to attend the BOCES college program in the fall. “After graduation I’m going back the BOCES in the adult education program for welding...since I’m certified I can either transfer that into the body shop industry in the mechanical field, or I can go anywhere else that requires welding,” he said. With the skills and techniques Farrington has learned, he plans to continue on the same career path he started on.